The juveniles have been recovered with the assistance of New Orleans Police Department and Jefferson Parish Sheriff’s Office . 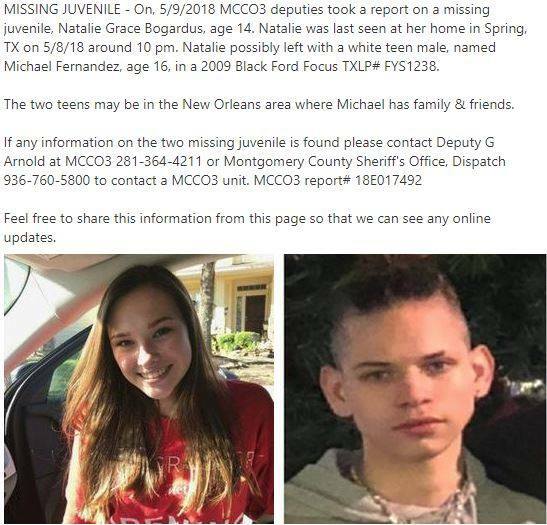 Both are safe and parents have been notified that they are in police custody in New Orleans. Thank you to all the citizens for getting the word out and providing information.